I have never gained a better understanding of my relationship with money than what I came to know from the works of T. Harv Eker, and from my viewpoint this program is probably his best work ever. Here you will get to know the 8 spiritual laws of money that will show you exactly what you should do to thrive financially without risking your inner peace or losing your spiritual connection. What obstacles do you see when you think about becoming a millionaire? 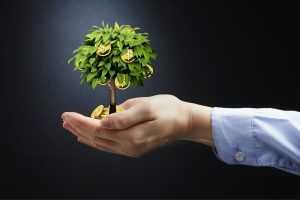 I don’t know if you have identified the hindrances in your path to get wealthy or not, but I am very sure of this one fact – A common things that holds most people from achieving financial freedom is their subconscious beliefs that tells them that having a lot of wealth will negatively affect their spiritual life. There are many things that cause you to struggle financially, but the major reason is the inner programming that works to keep you below a particular success level. This inner programming I am talking about is the deeply ingrained beliefs you have about wealth and a common belief that has kept a large population of the world poor is that “money is evil”. As I like to read and write on both spirituality and success principles, I have met many people who don’t actually like it when I talk about money as they want to discuss only spiritual stuff with me. I don’t understand how people could even think of getting spiritually nourished by holding the beliefs that makes them to hate money. Spirituality is not about denial, it is about acceptance. However, one may say that he is spiritual or he is wealthy, but if you are not living a harmonious life or if you are struggling to make money, in both cases you have a lot of internal work needed to be done. Spiritual people who struggle to make money and rich people who lose their serenity of mind are both affected by few common beliefs. 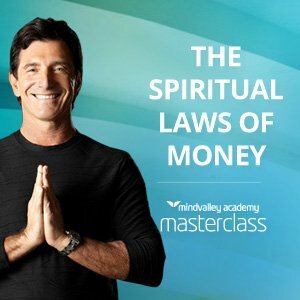 The spiritual laws of money program by T.Harv Eker is a course that teaches one to become rich while they also advance spiritually because it blends spirituality with one’s wealth part of life, it helps you understand on a deeper level that earning money can go hand in hand with spirituality. In this program Harv makes you understand that making money could be a spiritual act if you do it by creating some sort of positive change in other people’s lives. 1 – They work hard to become wealthy to find that money can’t buy happiness and they then unconsciously do things to get rid of money because they think that money has caused the misery, they end up being broke and unhappy. 2 – They believe that money will make them mean, selfish and unhappy, so they do everything to find the inner peace without giving any importance to money. This leads them to become frustrated and unhappy because they fail to fulfill their basic needs. With the principles Harv teaches in this product you will be able to find a way that gives you the emotional satisfaction of helping others while earning a lot of money in doing so and that’s what he means when he uses the term “spiritual millionaire”. Harv Eker is a very famous name in the self help industry and he has transformed many lives with his books, live seminars and home course materials. His bestselling book “The Secrets of a Millionaire Mind” has greatly influenced the lives of many people (including me) all around the world. What I find very intriguing about this guy is the way he delivers the life changing information, I was moved by the knowledge in his book where he explained 17 ways rich people think differently from others and that really shifted my beliefs about wealth. 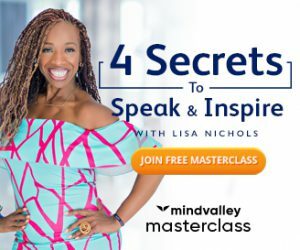 I got so excited after I was able to successfully implement his teachings to get better results that I was so in need to join his millionaire mind intensive seminar, but sadly that was not possible for me because I reside in a different country. And then when Mindvalley launched the “Spiritual Laws of Money” product, my wish got fulfilled. Harv struggled for 12 years to make money in his life until he was introduced to the right knowledge that changed his story. He realized that in order to become rich he has to recondition his mind to develop the psychology of millionaires. Unlike the hard to believe stories we usually get to hear when it is about the law of attraction and money like someone was poor and suddenly became rich with a quick magical formula, Harv’s path to success seems very real and we can relate to it. Like everyone else, he had a regular success/failure pattern until he found that he has to make changes in his inner world first to become rich. The he started a business of fitness store and within just 2.5 years he went to become a millionaire using his new guidelines, he made a promise to himself that if he discovers the right formula to be financially successful then he will teach it to others and now he is keeping his promise. He began to teach this to people with his “street smart business school” in San Diego and gradually this led to his well known millionaire mind intensive program which is said to have created a plethora of millionaires, this is why he is called the millionaire maker. What Will You Be Getting in This Program? The tools that Harv offers are simple, but very effective. These tools could be used by anyone to identify his beliefs that are stopping him from living a better life, they are very handy and it is something that you will keep with you for the rest of your life. The author says that there are 8 major obstacles that stop one from becoming rich and he calls it the 8 millionaire blocks. These blocks are basically the type of ideas present in your subconscious that works against you when you go after a big financial goal. Eliminating these eight major blocks is what the 8 spiritual laws are all about, based on this Harv has created eight modules of this program. According to Harv if you are not thriving financially then it is due to one or more of these 8 blocks that he has explained in the program, by identifying and eliminating them you will naturally become better at attracting money. You will get step by step ways to alter your old beliefs and replace them with the new ones that will open doors to the flow of wealth in your life. It will enable you to blend your spiritual life with your financial life. You will receive author’s 3 step process for boosting up your progress towards financial freedom. It will equip you with the tools and strategies for eliminating the 8 financial blocks. You will get the author’s ironclad 8 part system for creating lifelong financial security. With the information you will get here you will be able to get rid of scarcity thinking which keeps most people poor. You will get Harv’s super effective money management tools and strategies that were only available to his special clients before. The program will help you to find your life purpose, this will cause what brings you money to also make you happy. The main focus of the program is to identify and alter your money blueprint in a way that you become naturally good at attracting wealth. Your money blueprint is your inner mind programming that decides your relationship with money. These are the beliefs ingrained in your subconscious mind that causes a particular pattern of financial state to repeat over and over in your life. This blueprint is a result of what you accepted to be the truth about money from what you learned from other people and your experiences in your childhood. Your money blueprint determines your attitude towards wealth, so what you see as the results in the outer world is an effect of an inner cause. The conflict arising between couples due to money matters also highly depends on their money blueprints. So in this program you will learn to create a new beneficial money blueprint. Right now they are giving 8 Millionaire visualization MP3s and Vishen Lakhiani’s Bending Reality program when you buy this product, I loved these two bonuses, especially because it rarely happens that you get that good free stuff with the main product. As a person who knows how this course could change the way you look at your financial as well as your spiritual life, I strongly recommend you to opt for this course because what you will gain here will be useful for you always. I have tried many materials for learning how to become good at making money, but what I have learned in this program is what I was actually able to implement and see the change in the results I was getting. 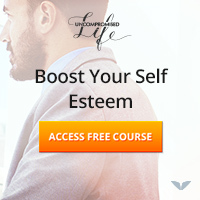 I would like to tell you that what you are going to get in this program is a profound life transforming wisdom, but it won’t work at all if you don’t make proper use of it, you need to take the actions that the author suggests, put your effort and time to create a major change in your financial situation. This is not a one-time thing; you will have to make it a part of your life. For more information, please visit the product. I hope you enjoyed this post. I would love to hear from you so, please do write me in the box below. If you have something to add here, then you are most welcome.